The SM7B is built like a tank making it ideal for those podcasters who are committed to the longevity of their product. The Samson Go is great starter mic at a price that can't be beat—but you may decide to upgrade later on. For less than $150, the Blue Yeti is a Swiss Army knife of a microphone. However, it can't hold its own against more professional mics. Despite its technical limitations, the Quadcast can credibly record a podcast, stream, or other vocal-centric application short of professional recording. f you’re looking for an attractive bang-for-your-buck XLR microphone, Blue drives a hard bargain with its Ember microphone. Podcasting seems to have exploded in the past few years, even Google’s cashed in by developing its own podcasting app. The accessibility of the format is what draws so many listeners and creators to it. If you’re aspiring to be the latter, picking out your debut podcasting microphone can be daunting, which is why we’ve made this list to find the best podcasting microphone for you. Editor’s note: this list was updated on April 4, 2019, to include the Blue Ember. For its compact design, the Shure SM7B is an insanely powerful microphone. Much like Nebraska, the Shure’s frequency response is flat and wide. The frequency response of this dynamic mic ranges from 50 – 20kHz with an impedance of 150Ω. The cardioid polar pattern grants uniform recording, and its internals are no slouch either. It sports a new cartridge shock mount which prevents small movements from showing up in your recordings, so feel free to build a mote of laptops, lights, and monitors around this thing. It proves that professional design doesn’t have to mean inconvenient. The yoke mounting makes for simple mounting and dismounting along with precision control of the placement within your workspace. There are also optional accessories, windscreens, and replacement cartridges to ensure optimal recording quality. 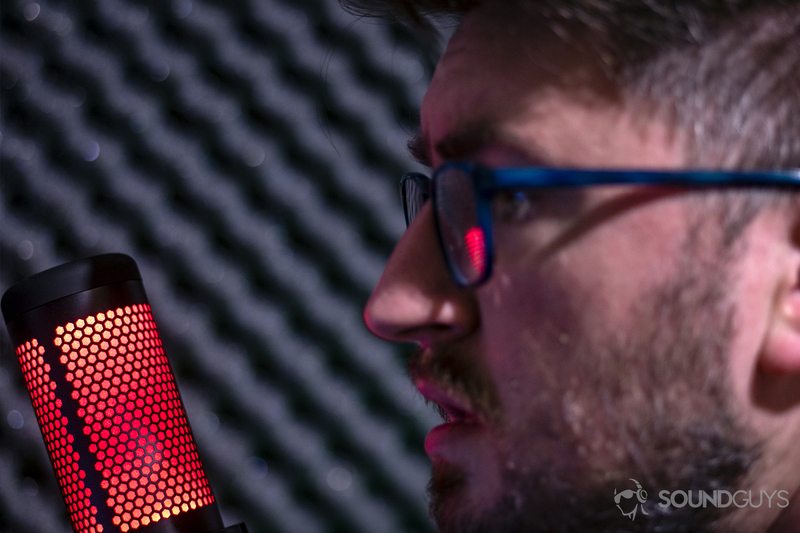 The included pop filter helps to mitigate plosives, and protects the mic from any rogue spit. The SM7B is well-built, making it ideal for podcasters who are committed to the longevity of their product. Samson Technologies is renowned for its audio equipment and are used globally by professionals. If this is your first toe-dip into the world of podcasting, the Samson Go Mic is a wonderful low-risk option to consider. 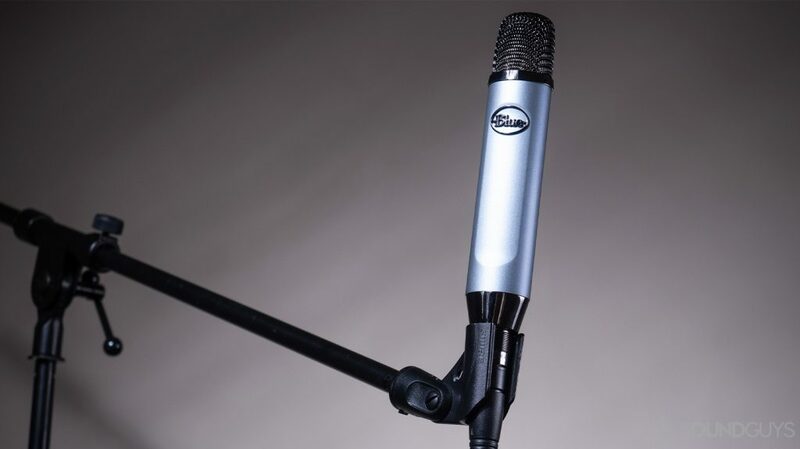 The USB condenser style mic allows for complete ease of recording: just plug it into your computer and record. The frequency response is more than enough, ranging from 20Hz – 18kHz at 16-bit resolution. The Go mic also offers a cardioid recording option which is ideal for podcasting. And, it can record directly into whatever editing program you’re using. However, for better quality audio, prepare to shell out. Blue Yeti’s mission is to make your recording experience as efficient and streamlined as possible with their USB microphones. Specifically, the Yeti Pro offers “tri-capsule technology” which allows for quality a cut above your average USB mic for only a little more. You may adjust the gain, and headphone output volume via the 3.5mm headphone jack. Additionally, there are four pattern modes with this mic allowing you to choose which one best suits your given situation. Cardioid is ideal for podcasts, as it allows you to record sound which is immediately in front of the mic. Stereo mode acts as one would expect: recording sound from the left and right channels simultaneously to provide a better illusion the listener is in the room with you. Omnidirectional mode will record 360-degree sound, and bidirectional will record sound from the front and rear regions of the microphone. As is the case with nearly all USB microphones, the HyperX Quadcast requires minimal setup or know-how. It’s elevated by a tilting stand paired with a dual-shock mount to mitigate vibration. Near the bottom of the capsule is again dial, and the back knob lets you alternate between pickup patterns. On the top of the microphone is a dedicated mute touchpad, which allows you to mute at the drop of a hat. This is great if you live with others and don’t want unpredictable sounds to bleed into your recording. It’s also easy to tell when the mic is on or off via the lighting behind the grill. This unique podcasting microphone doesn’t require a pop filter because it uses a foam-like material just behind the grill. Said material does a good job at combating plosive sounds (p, pf, etc). Another great feature is that it’s compatible with an array of systems by nature of it being a USB mic. You can use it with an Xbox, PS3, PC, or Mac system. While there are a few recording patterns to choose from, podcasters should stick with the cardioid pattern: it performs well at recording directly ahead while minimizing echoes. Above is a clip recorded with the HyperX Quadcast; for less than $150, it’s not too bad. The Blue Ember is a spartan XLR microphone in the sense that it provides few—if any—frivolous features. This doesn’t detract from the Ember’s value, however; in fact, it’s likely why it’s such a great mic for the $100 price. The side-address design means you speak directly into the front, not the top, of the microphone. That coupled with the slim form factor make this a great option for content creators working in tight spaces or for those who don’t want to worry about obscuring a microphone from view in videos. Despite the Ember’s slim design, it packs a substantial heft at 380 grams which adds a premium feel to the microphone. The XLR input at the base requires a dedicated XLR cable, rather than an adapted instrument cable. What’s more, you’ll need a recording interface with +48V phantom power to operate the microphone. Fortunately, there are plenty of USB interfaces out there to get you started. The cardioid recording pattern bodes well for voice recording and effectively rejects off-axis noises. Additionally, the microphone is great for instrumental recordings as it doesn’t place an excessive amount of emphasis on any particular frequency range. As you can hear in the example below, the sliding of my fingers up and down the fretboard of a guitar is audible without sounding too exaggerated. If you want to hear an example of vocal recordings, be sure to play that clip too. A very flat response like this one is great for capturing all kinds of sounds, not limited to a human voice. While the 0-30kHz dip may seem like a detriment to audio quality, it helps to minimize pickup of low-frequency hums from something like an overloaded computer. The microphone boasts a neutral-leaning frequency response that bodes well for nearly any vocal range. To get a professional sound, you will need a pop filter, though. While we typically subject headphones and earbuds to our in-house, objective testing, podcasting mics are a bit different. We made sure to do plenty of research on third-party forms and by scouring reviews on popular retailers. What’s more, we accounted for the reality of podcasting: it can be done from virtually anywhere. We wanted to respect the format’s versatility by picking out a wide array of options for readers to choose from. Not only is it a great podcasting microphone, but it works well for musical recordings and gaming. Audio-Technica ATR2500: Sound quality is excellent for a sub-$100 microphone. It’s easy to use since it’s a USB interface, too. Blue Snowball: This is a great alternative to the Blue Yeti microphone. It’s even easier to use and features a smaller, albeit more spherical, form factor. This USB microphone is available for ~$50. Beyerdynamic Fox USB Mic: If you want a versatile USB microphone that’s appropriate for gamers, podcasters, and musicians alike, the Beyerdynamic Fox USB Mic is a great option. It’s a bit pricey but users pay for the convenience, versatility, and slick design. Rode NT-USB: The NT-USB is much like Beyerdynamic Fox: both are USB microphones designed to perform well in a variety of situations. Rode’s version is slightly more expensive but it really comes down to personal preference. Individually, each member of the SoundGuys team has accrued multiple years of keeping their thumbs on the pulse of the audio industry. When it comes to the best podcasting mics, we understand that users podcast in vastly different environments from a hotel bedroom to a full-fledged studio. Thus, we wanted to account for that diversity in our picks. You’re going to want to prop the podcasting microphone close to your mouth in order for it to fully register the timbre of your voice. None of our writers benefit from recommending one product over another; as a matter of fact, they’ll never know if a link was ever clicked. Collectively, we want you to be happy with your purchase and, in the case of podcasting mics, we want it to be easy to use and increase the quality of your end product. If you have the time, we encourage our readers to learn more about our ethics policy.